Buying a house is one of the biggest decisions that you make in your life. In fact, for some of us it’s second only to the decision about who we’re going to marry. When you combine those two elements, it can be wonderful… but also really complicated. Here are some of the biggest questions we hear about buying a house as a couple, answered. Do both of us need to be on the mortgage agreement? No, you don’t. There are lots of factors that go in to whether you’ll want to have joint ownership or sole proprietorship. For example, often having both names on the loan is going to strengthen your application and get you a better rate… unless someone has problematic credit. If you want to get the best rate on your loan, it could be a good strategy to put ownership in the name of the person with the best credit. Also, if someone is at risk for malpractice suits (like a doctor or lawyer) then you might put it in the other person’s name so that it’s not at risk in case of a suit that goes south. There are protections that you can enlist to make sure that you both have legal claim on the property even if it’s just in one person’s name. It’s best to talk with a lawyer about your options in this case. What’s the best way to own property together? 1: Joint tenancy (with right of survivorship): This is usually used by married couples. You split the property ownership equally, and when one person dies, their share goes to the other person. 2: Tenants in common: This is useful if you want the property to go down to heirs instead of other co-owners. Often, people use this option when owning property with partners or siblings. You can also split the ownership in uneven percentages; this is useful if there’s more than two people in the agreement. 3: Trust: This is the most complicated and expensive option, but it’s a wise move when you have special conditions and requests for how to discharge the property. 4: LLC: LLCs are especially useful if you’re planning on using a house as a rental property, since it will guard you from liability. What complications should we expect if we’re not a married couple? 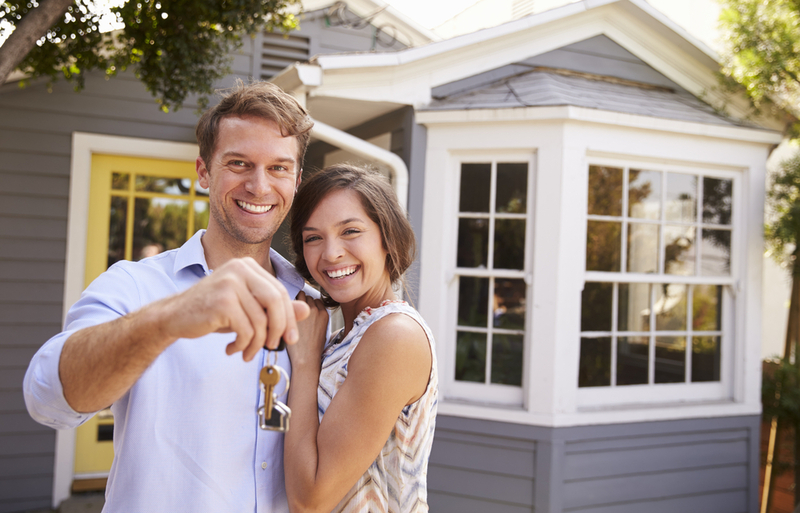 More and more people are buying houses together without being married first. Marriage simplifies property ownership in some cases, and complicates it in others. Each state has different regulations about how property transfer happens in the case of joint ownership, so it’s important to research what the standards are in your location. It’s important to remember that home ownership is a complicated financial move, and so if things go wrong in the relationship, it’s really hard to disentangle yourself from this partnership. In fact, it might be a more binding commitment than marriage. Because of that, there are some things you can do to protect both party’s rights. You can create a co-ownership contract, drafted up with the help of a lawyer. It’s kind of like getting a prenup… for your house. This is definitely recommended if you’re an unmarried couple who opts for sole proprietorship, since you could otherwise risk walking away with nothing, even if you’ve contributed to the mortgage payments for your whole life. Do you have more questions about buying a home? Give us a call. We’d be happy to answer any and all questions.